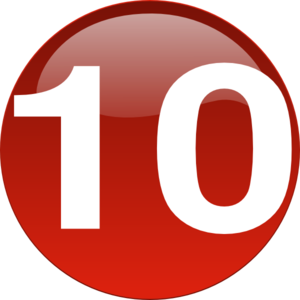 This is my first and longest-running weblog, and this is its tenth anniversary. It's kind of fun to look back and note the many changes. Near the beginning, I assumed a persona of an Italian tough guy, and mentioned my "crew". Several of the people were real, and some were completely made up (Tommy the Knocker comes to mind, I was thinking of the mythical creatures called tommyknockers at the moment). Then, as now, I wrote about whatever seemed interesting at the time. Many posts were written on my lunch break at the workplace. Back then, I didn't have the "Cowboy" moniker. I was writing about politics for a spell, but lost heart and interest for a couple of reasons. First, I recommitted my life to Jesus Christ, which became a priority. Second, Caliph B. Hussein Obama became the child emperor of the United States. But my interest in Christian material was rekindled, especially biblical creation science, which led to "Evolutionary Truth by Piltdown Superman". I deleted a hundred or more of the posts and articles from this weblog later on. Something that I found interesting in this journey. One is my writing style has changed (and I believe it's for the better), but I'm not trying too hard right now, this is a free-thought conversational-type piece. Lots of research for articles and posts — by the way, my distinction is that articles are original material, and posts have introductions, excerpts, and links to keep reading a featured article. I've also learned that I don't want to trust Fair Use on images any more than I need to. Most of what I post is from sites that host free images, or public domain images (the US government has many of those). While I may have been on safe legal ground when using images, I didn't want to take chances and rode the safer trail. Research has been very educational, and I followed many rabbit trails where one thing leads to another: I start with, say, free clipart, see a link to Fair Use, and eventually find myself reading about an old rock band I used to hear. Not so much of that when I'm under time pressure. Although my web search skills have improved, so has search engine software. I can find what I'm looking for most of the time, but some things are very difficult to locate. Writing here was almost a daily thing, but now it's mostly an archive and maybe a bit of a journal. I'll still put things here, but it seems to have become monthly. Regular readers are pretty much gone, and that's my doing because if you don't write, they can't come over to read. Right?